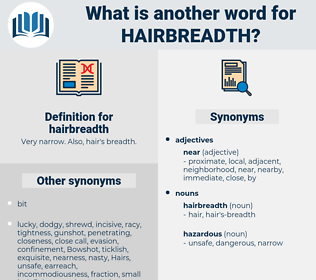 What is another word for hairbreadth? Very narrow. 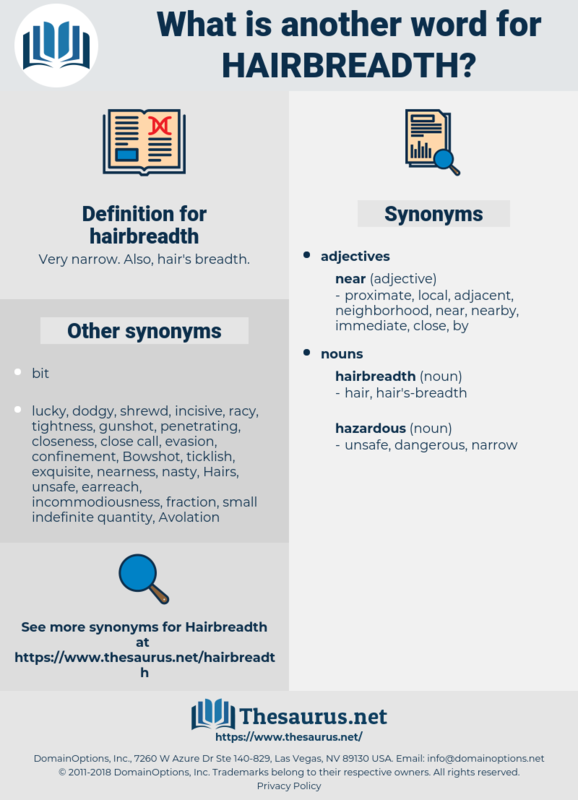 Also, hair's breadth. I passed all the tests, though by a hairbreadth. It is enough to say that it was a chapter of hairbreadth escapes, hunger, cold, suffering, and, alas!